CONCLUSION: . A Grand Bargain? In their opening meetings, the U.S. and Cuba will present their conflicting claims. One possible outcome is protracted and contentious negotiations. But there is a much more promising alternative approach: to take advantage of the very size and complexity of the conflicting claims and to make their resolution the centerpiece of a grand bargain that would resolve some of the other remaining points of tension between the two nations, and embrace an ambitious, forward-looking development strategy for Cuba. 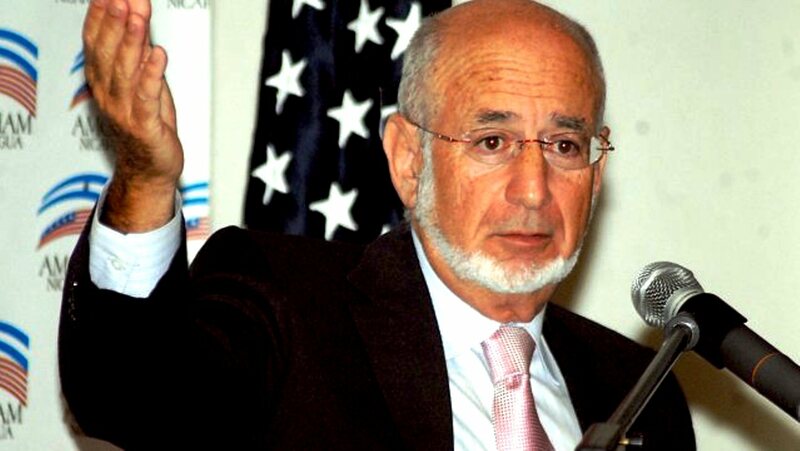 In recent U.S.-Cuban relations, there is also the precedent of the December 17, 2014 announcements, when the return of Alan Gross and a CIA asset for three Cuba spies was wrapped in the larger story of normalizing diplomatic relations, and on the U.S. side, the relaxing of certain travel and economic restrictions. 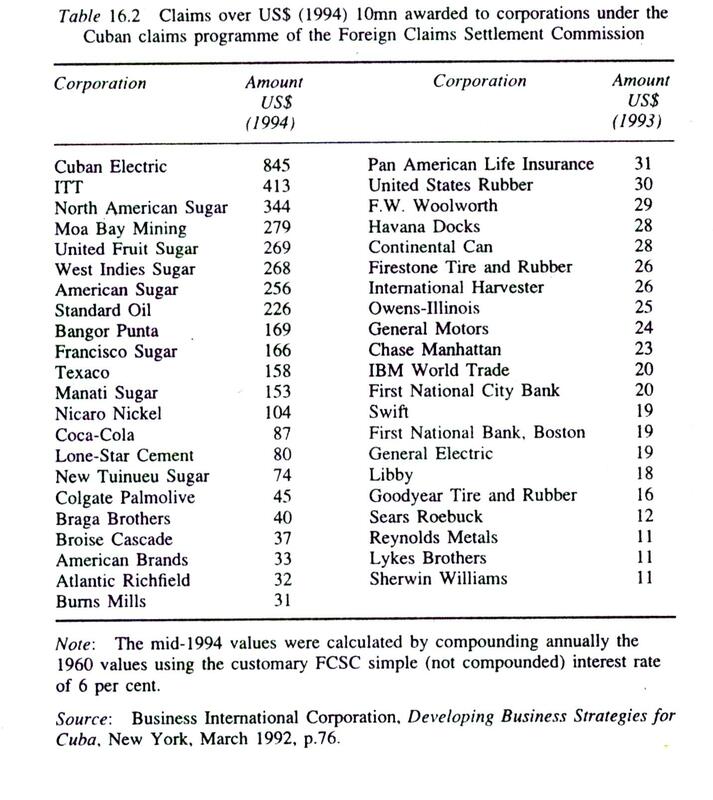 The two-tiered settlement strategy outlined above allows for U.S. firms to re-engage in Cuba. At the same time, some individual claimants and their families harbor deep affections for Cuba and would probably be willing to contribute to its future development. Cuba could consider special incentives to regain this legacy of the island’s past, and for interested claimants to match their awards with re-investments in new projects. With the right incentives, Cuba could also attract the capital and talents of many of the two million Cuban-Americans resident in the United States. With their separate legal issues and emotional charges, and the vastness of their numbers, the property claims of Cuban-Americans will require their own treatment (more on this in a subsequent paper). 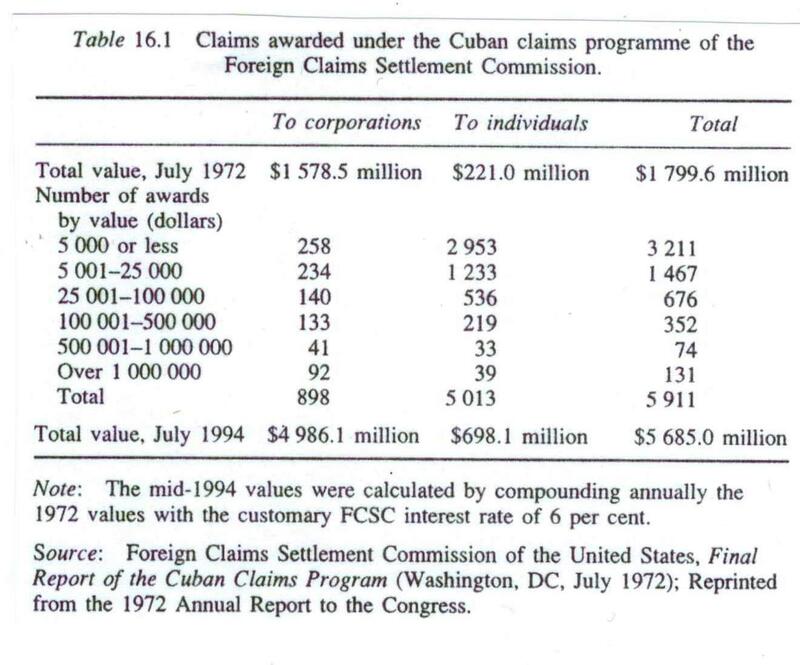 But the settlement of U.S. property claims might include a general framework for the future consideration of issues of concern to Cuban-Americans – with the overarching goal being reconciliation of the diaspora with the homeland. 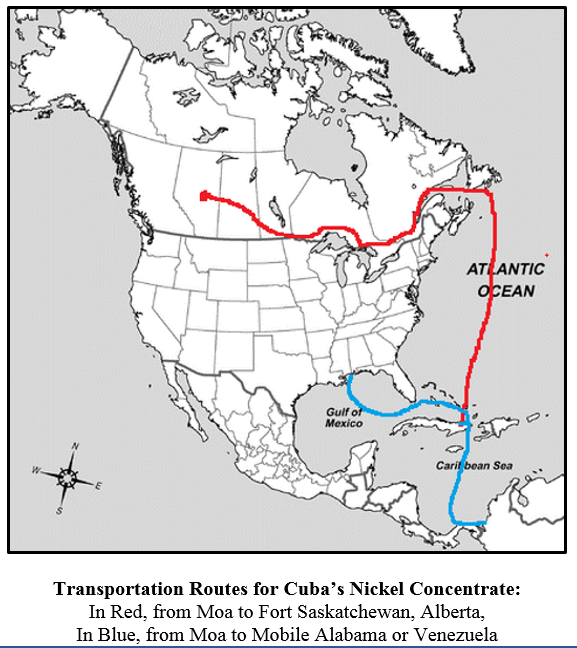 The settlement of U.S. claims could be wrapped in a package of economic opportunities for Cuba. Importantly, the United States could further relax its economic sanctions (amending or repealing Helms-Burton), providing more trade and investment opportunities – and the capacity for Cuba to earn the foreign exchange needed to service debt obligations. In turn, Cuba will have to accelerate and deepen its economic reforms, to offer a more attractive business environment for investors and exporters. Politically, the Cuban government could present a significant softening of the U.S. embargo as a victory, offsetting any concessions made in the claims negotiations. A comprehensive package might also be more attractive to the U.S. Congress; formal Congressional consent would enhance the measures’ legitimacy and durability and help to close off any court challenges, should some claimants be unsatisfied with the final settlement. It is time for Cuba to enter the international financial institutions and the United States should no longer stand in the way. The IFIs can play a vital role, in providing capital and connections to the global marketplace. The IMF and World Bank are also deep repository of knowledge on transitions from central planning to more market-driven economic systems. The claims settlement agreement between the United States and Hungary contained an annex where it was agreed, inter alia, that the Hungarian Government intended to settle outstanding dollar bonds through direct talks with bondholders; and that the United States would seek authority from its legislature to accord Most-Favored Nation (MFN) treatment to Hungary, subject to separate negotiations. 75 In a grand bargain, the United States could offer to work with Cuba and other creditors to renegotiate Cuba’s outstanding official (Paris Club) and commercial (London Club) debts on terms that take into account Cuba’s capacity to pay.76 The U.S. government continues to carry on its books $36.3 million of Cuban obligations to the U.S. Export-Import Bank (Ex-Im Bank), which could be addressed within the Paris Club framework.77 The United States could also agree to reconsider remaining trade and investment restrictions. At this stage, it would be too much to expect agreement on a detailed development strategy for Cuba. But a process could be put in place whereby Cuba would work with its many international partners, including the United States, to forge a twenty-first century development model that preserves the social gains of the revolution but that also raises labor productivity and living standards. Under President Raúl Castro, Cuba has initiated economic reform and the international community can accompany it by adding its expertise and resources. It would not be too much for the claims ettlement talks, if they agree on a two-tiered strategy, to include a discussion of the business climate, and what additional steps Cuba needs to take to attract badly needed foreign investment. 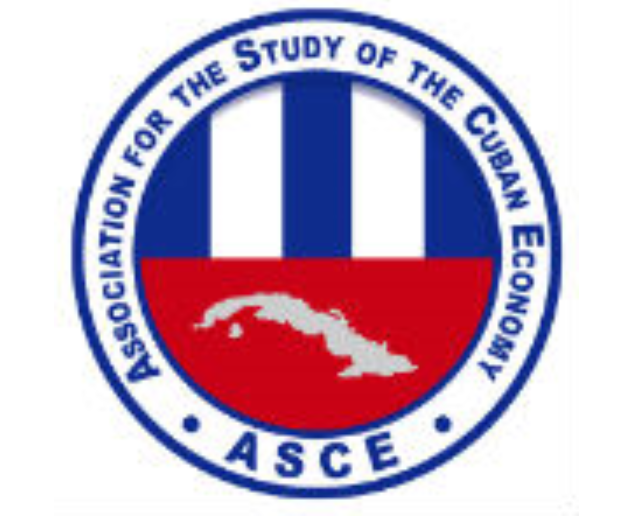 As strict socialist property relations are gradually replaced by a more hybrid economic system, Cuba will need to design and implement new property regimes that promote individual initiative but that also encompass land-use, housing, natural resources and other regulatory oversight protective of the public interest and consistent with sustainable and equitable growth. 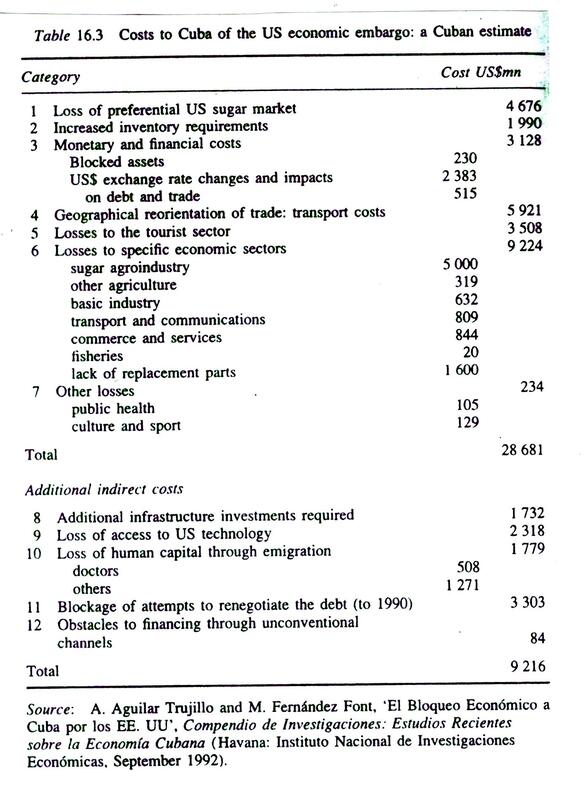 The strategic goals in a massive claims resolution process must be political: to heal the deep wounds of past conflicts, to lay foundations for peaceful coexistence and the non-violent resolution of disputes, to avoid jeopardizing fiscal balances and crippling debt burdens, to build investor confidence and international reputation, and to help render the Cuban economy more open and competitive. These vital goals will not always be fully convergent with the more traditional, legal objective focused narrowly on the rights of property claimants. In designing and implementing solutions, as claimants bang on doors and demand attention, policy makers should not lose sight of their overriding purposes. 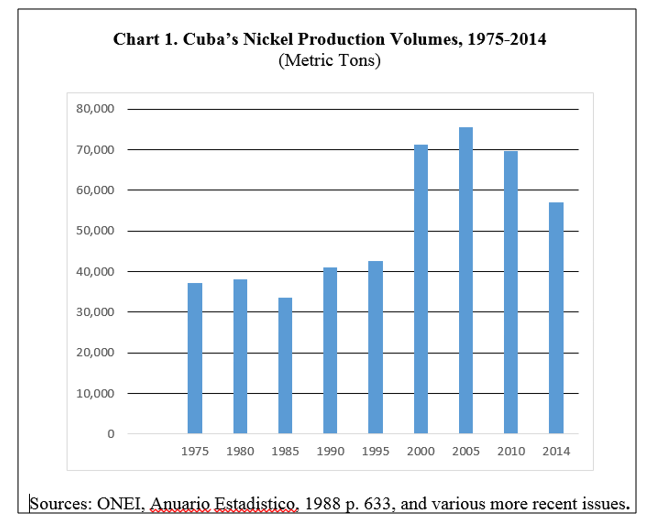 In the interests of both Cuba and the United States, the twentieth-century trauma of massive property seizures should be transformed into a twenty-first century economic development opportunity. Richard Feinberg is a nonresident senior fellow with the Latin America Initiative at the Brookings Institution. He is a professor of international political economy at the School of Global Policy and Strategy, University of California, San Diego. His four decades of engagement with inter-American relations spans government service (in the White House, Department of State, and U.S. Treasury), numerous Washington, D.C.-based public policy institutes, the Peace Corps (Chile), and now in academia. He is also the book reviewer for the Western Hemisphere section of Foreign Affairs magazine. Original here: WHO OWNS CUBA? Tonito Ring Ring was a Latin-looking boy with a dial for a belly and a target on his head. In the 1950s, he was the cartoon mascot of the Cuban Telephone Company, then owned by American firm International Telephone & Telegraph. When the Revolution came in 1959, workers at company headquarters in Havana came looking for him. They tore Tonito down from the wall, thrust him into a coffin, walked him down Calle Aguila to the Malecon, and tossed him into the sea. The Communists, meanwhile, seized the entire Yanqui phone company and, in the ensuring three years, confiscated $1.6-billion worth of U.S property across the island. Almost six decades later, the United States is intent on making the Cubans pay. Literally. Now the property of the state-run phone monopoly ETECSA, the telephone company is just one of roughly 6,000 confiscated assets, estimated to be worth a total of more than $7-billion, to which American firms and citizens hold claims. If the Cubans want the United States to lift its gruelling economic embargo – now a possibility, after U.S. President Barack Obama announced the re-establishment of diplomatic relations in December – they’re going to have to address the thorny issue of compensation. With Mr. Obama’s presidency winding down, and Cuba’s economy suffering even more than usual thanks to the woes of petro patron Venezuela, pressure is beginning to build to tackle the elephant in the room. Although Cubans have long considered the embargo a form of slow genocide, America clearly feels differently. In its eyes, Mr. Castro and his comrades took part in nothing less than illegal seizures of property, and should now pay for what they stole if they want to normalize trade. In fact, a two-decade-old American law dictates that there will be no normalization in trade until the claims are settled. Mr. Obama’s announcement may bring an economic revolution to Cuba. Although the short-term aims include lifting travel and financial restrictions, and even moving toward an exchange of embassies, the long-term goal is to normalize trade. But Ms. Jacobson has said that the two sides won’t broach the topic of compensation until much further down the road. For the payment issue, even the process is complicated. 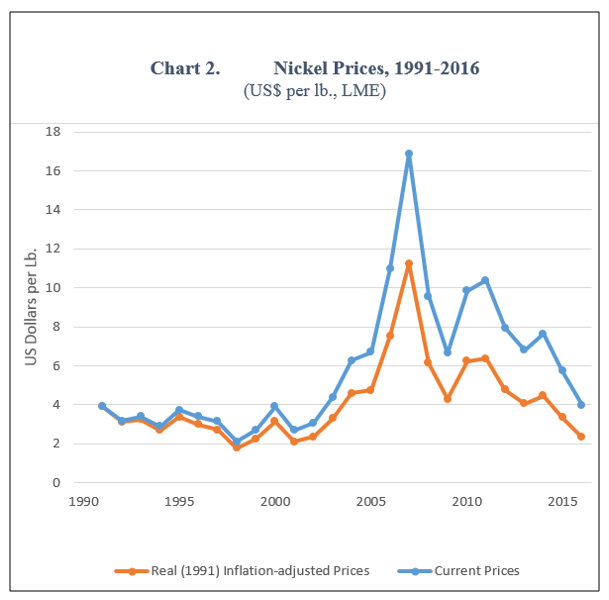 As previous Cold War-era attempts at land claims have proved, establishing a rate for repayment will be no small feat. For one thing, no one knows whether the United States, which represents all the claims, will seek to settle in one lump sum or want to address each case individually. 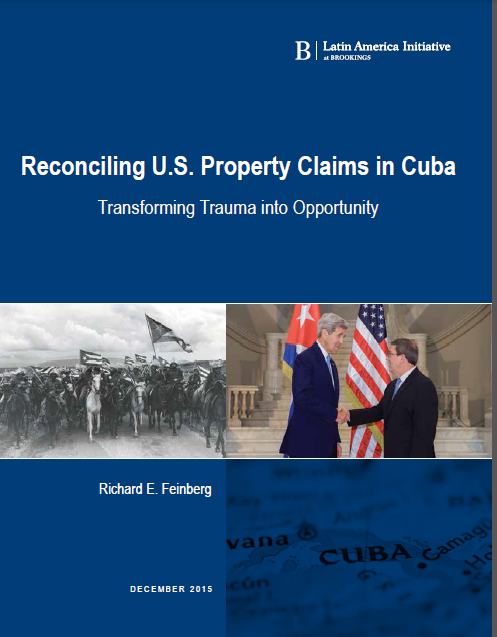 This excellent survey of the literature on the issue of property and compensation claims between the US and Cuba is of major importance in outlining the differing views on this contentious and complex issue. This article is comprehensive, well-organized and clear. Unfortunately it is still available only in Spanish. 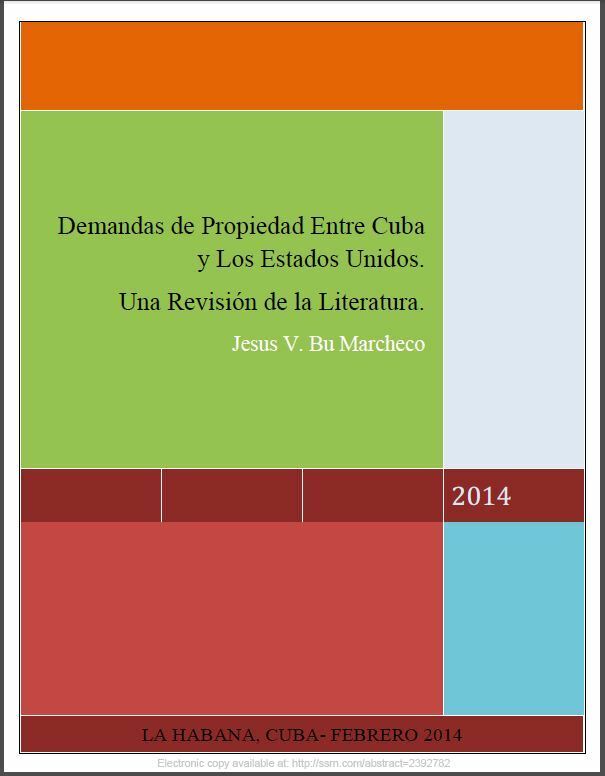 Spanish: Este artículo es una revisión de la literatura sobre las reclamaciones de la propiedad pendientes entre Cuba y los Estados Unidos, con el objeto de resumir el estado actual del conocimiento académico. Este artículo examina las reclamaciones entre las partes, los mecanismos legales diseñados para solucionar las demandas y los remedios para cada tipo específico de demandante. 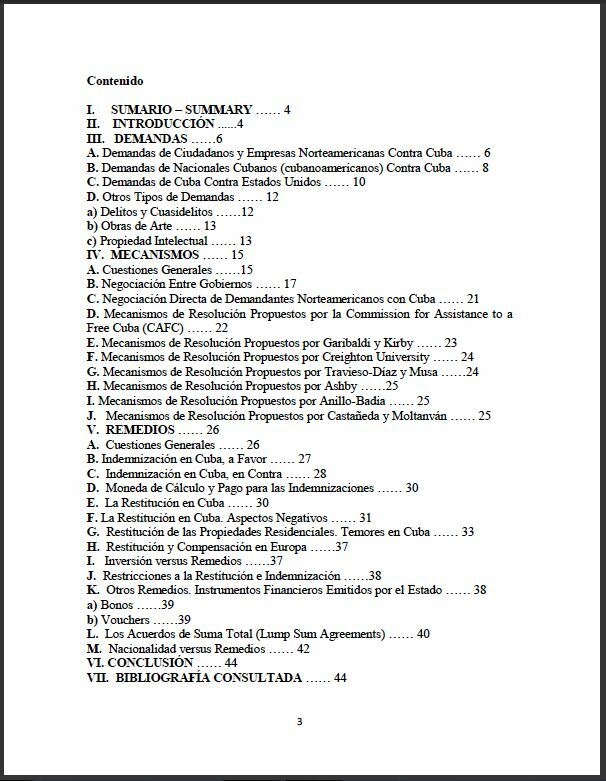 English: This paper contains a literature review designed to summarize the state of academic knowledge surrounding the outstanding property claims between Cuba and the United States. This paper examines the claims between the parties, the legal mechanisms designed to solve the claims and, the remedies tailored for each particular type of claimants.